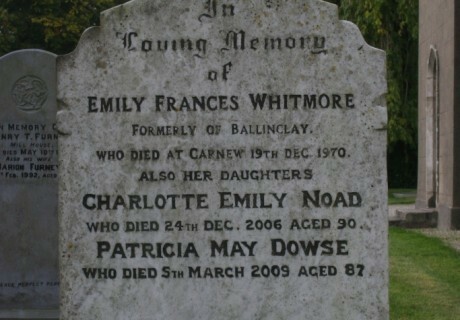 In loving memory of Emily Frances Whitmore formerly of Ballinclay who died at Carnew 19th Dec. 1970. 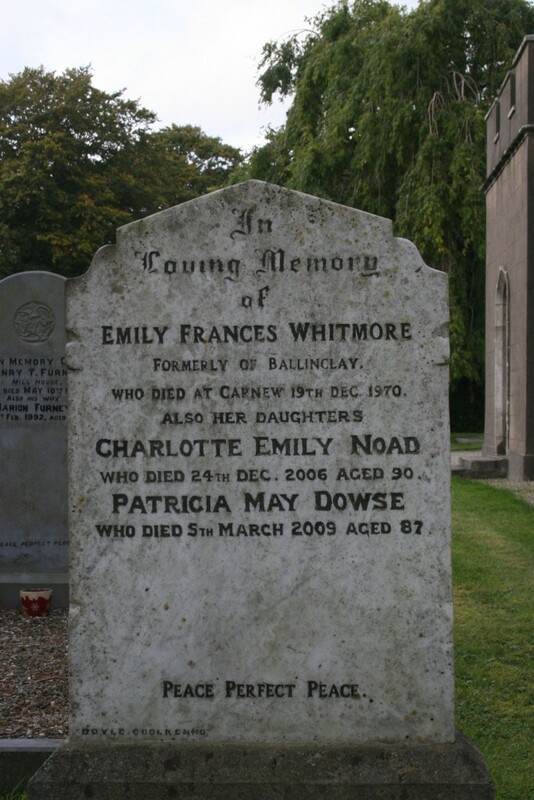 Also her daughters Charlotte Emily Noad who died 24th Dec. 2006 aged 90. Patricia May Dowse who died 5th March 2009 aged 87.